Do you count your ski days each season? 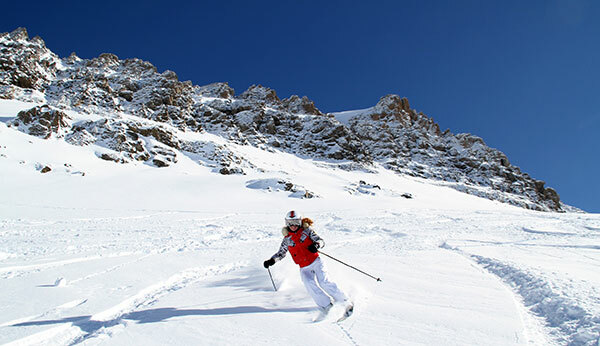 Do you have a ski bucket list or goal of skiing a number of days? Sounds fun when you’re a kid, right? I pledge to ski my age. This will become exponentially challenging. Klaus Obermeyer, of Sport Obermeyer, had a long tradition of skiing as fast as his age. Count me out on that ski count, 70mph at 70 sounds risky. He’s passed 90 now and still skiing. I turned 50 – and I am pretty stoked about the upside of more downhill days each season. Many ski friends say counting their ski days is trivial, or braggadocios. Sure, I understand the “quality over quantity” rationale. On the flip side, some ski fanatics are glued to their iPhone ski app, Epic Mix, Trace – formerly Alpine Replay, or frequently checking their altimeter watch or vertical trackers. Why do I count my ski days? It’s fun. I also track the number of different resorts I ski each season, eager to add new ski destinations to my Where I’ve Skied App on Liftopia. Growing up skiing, I had the advantage of starting at age 3 at Gunstock in New Hampshire, my mom taught skiing. Later, I became a ski instructor at Smugglers Notch while in college at University of Vermont. That’ when I got the taste of approaching 100 days in my ski tally – I was hooked. Marriage and children slowed by ski day count. I remember the few days, like a pathetic 5 ski days in an entire season, putting our youngsters in ski area daycare. The meter was running big time for those very limited but precious ski days. We taught our kids to ski, they learned to count their days pretty quickly. As children of a ski journalist, they’d also track the number of new ski areas we visited and the number of pillows and plane rides. Counting your days is a fun goal, especial when you achieve your alpine number. That raises another question of how many runs does it take to qualify as a ski day. I say any day you’re out on the ski slopes = ski day! And a good day at that, regardless of the weather. A bad day skiing beats a good day working? Or is it there’s no bad ski weather, just bad ski clothing.